James Tyson was born on October 26, 1841, in Philadelphia, Pennsylvania, to Dr. Henry Tyson and his wife, Gertrude Haviland Tyson. Tyson was a descendent of Cornelius Teissen, one of the first settlers of the Germantown section of Philadelphia. During his youth, Tyson attended the Friends Central School, at that time located at 15th and Race Streets in Philadelphia, graduating in 1857. Tyson matriculated as a sophomore in Haverford College with the Class of 1860 in the fall of 1857. He graduated three years later with a Bachelor of Arts degree and received his Master of Arts degree in 1864. After earning his bachelor’s degree, Tyson enrolled in the Medical School of the University of Pennsylvania, earning his M.D. in 1863. Tyson served his residency at Pennsylvania Hospital in 1863 and 1864. Following which, he served in the Union Army as an acting medical cadet and an acting assistant surgeon. After the conclusion of the Civil War, Tyson returned to Philadelphia where he married Frances Bosdevea. The couple had two children, one of whom became a physician, following in the footsteps of his father and grandfather before him. In 1868, Tyson reunited with his alma mater when he was named lecturer in miscroscopy at the Medical School of the University of Pennsylvania. He remained as a lecturer of one subject or another until 1876 when he was named professor of anatomy and morbid anatomy, a position he held until becoming the dean of the Medical Faculty of Penn’s Medical School in 1888. 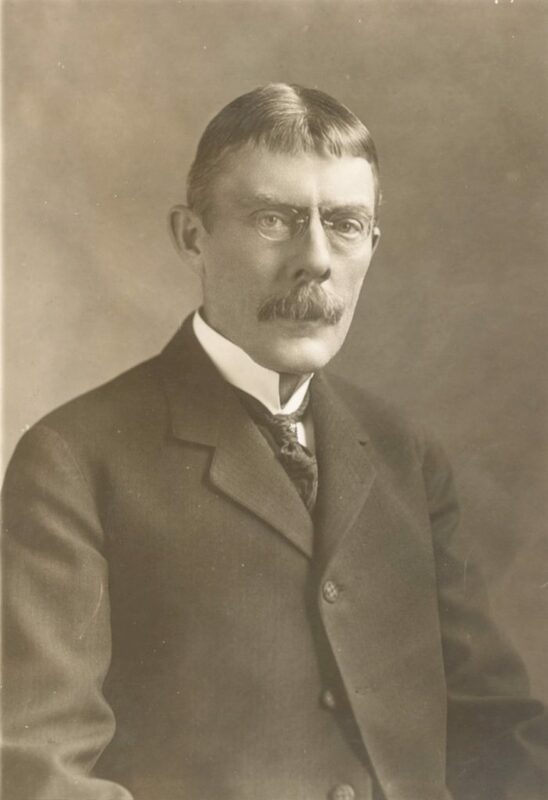 During his Penn career, Tyson also served as professor of the practice of medicine, professor of clinical medicine, as secretary of the Faculty of Medicine, and on the board of managers of the Hospital of the University of Pennsylvania, before being named professor emeritus of medicine in 1910. Tyson also served on the staffs of numerous other Philadelphia hospitals including Kensington Hospital for Women founded by fellow Penn alumnae Howard Kelly. All the while, Tyson maintained his private practice which boasted such well known clients as John Wannamaker. Throughout his career, Tyson’s excellence was recognized several times. He was awarded the degree of Honorary Doctor of Laws from both of his alma maters. Haverford College was first, honoring Tyson in 1908, and the University of Pennsylvania followed four years later. Tyson was a member of numerous academic societies including the American Medical Association and the American Philosophical Society. He served as the president of the Association of American Physicians (which he founded in 1886), the College of Physicians, the Pennsylvania Society for the Prevention of Tuberculosis, and the Pennsylvania State Medical Society; and he was an original member of the Obstetrical Society of Philadelphia. Tyson was perhaps most well known in the medical community for his pioneering use of the microscope and his prolific writing ability. Aside from writing numerous medical books, some of which went through many many editions, Tyson also wrote articles for medical journals and helped to edit the Philadelphia Medical Times. Tyson died on February 21, 1919, at his home in Philadelphia with his children by his bedside. At the time of his death, Tyson was the second longest serving faculty member at the University of Pennsylvania after his long-time colleague, Horatio Wood.